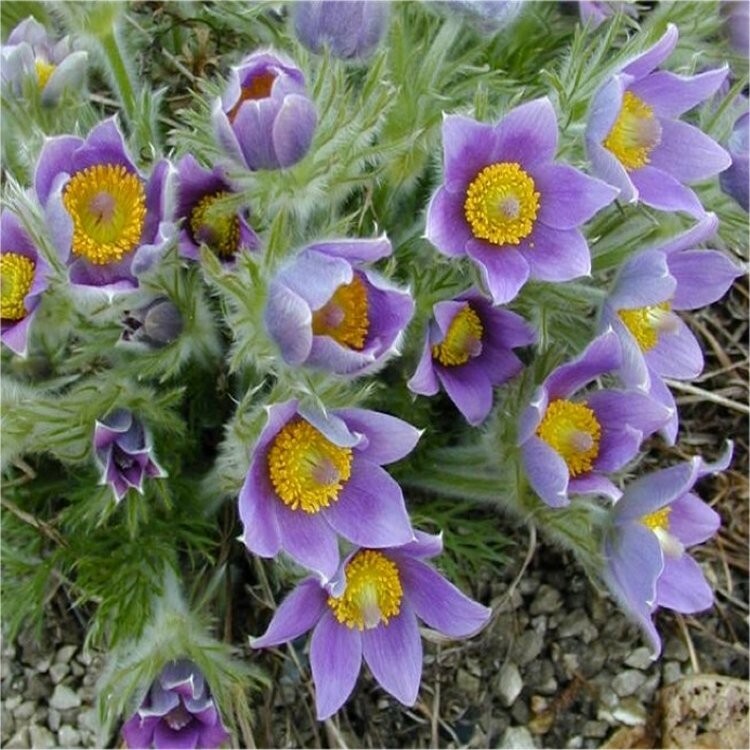 A wonderful little silky-haired plant with wine-purple, urn-shaped flowers which bloom as the furry tufts of pinnately dissected foliage unfurl. Attractive fluffy-looking seedheads rise above the plant after flowering. Supplied in approx 1 litre containers.